Coco Fusco, a New York-based interdisciplinary artist and writer, has performed, lectured, exhibited, and curated around the world since 1988. She is the director of Intermedia Initiatives at Parsons School of Design at the New School. Fusco is the author of English is Broken Here: Notes on Cultural Fusion in the Americas and The Bodies That Were Not Ours and Other Writings. 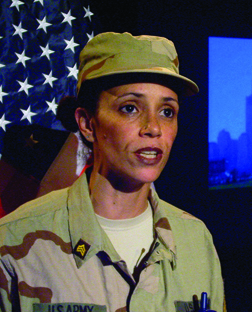 Her work on military interrogation was selected for the 2008 Whitney Biennial.